Storyteller and humorist Garrison Keillor will be performing at Whalen Gymnasium at Fort Lewis College next week. 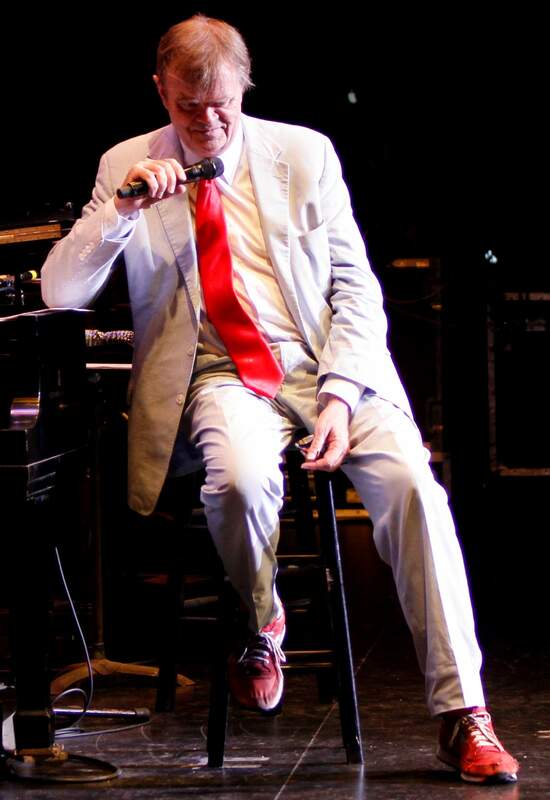 Iconic storyteller and humorist Garrison Keillor will be bringing his show “Just Passing Through” to Whalen Gymnasium at Fort Lewis College on Tuesday night. Keillor, perhaps best known as the former host of “A Prairie Home Companion” – he retired in 2016 – answered some questions via email ahead of next week’s performance. Q: You’ve written that you believe gentle people will prevail over not-so-gentle people in these trying times. What’s your advice for staying optimistic? A: I grew up among gentle people and wound up telling stories about them because they’re mysterious and tied in to the world around, the trees and valleys and dogs and birds and snowfall, and they generate hope wherever they go. From them, you learn that work is a great tonic for the blues, that friendship and the art of conversation can sustain us, that humor is a salve. My Grandma Keillor was a model of gentleness to me – she was a rather progressive thinker, believed women were as good as men and maybe better, believed education was what makes the difference. She was a railroad telegrapher, then a schoolteacher, then a farmwife. I wrote her some old-fashioned rhymed verse, which made her happy. I was 20 when she died, and I sat by her bedside, stroking her hand and singing her favorite hymns. I look back on my life as a series of turns, each one a work of blind good luck given me by gentle people, and she was one of them. Q: What do you think can be done to preserve storytelling in the digital age? A: I like Facebook, but there is nothing like face-to-face conversation that delves into stories. All our wisdom is in stories. Q: What is something we don’t know about you? A: I adore my wife, Jenny, who is a musician, a violinist, a member of an orchestra, and orchestra has shaped her in many ways. She gets along with everybody. My friends and family love her. And I look forward to the time when she and I will get on a slow boat and go around the world and talk to each other for weeks and weeks. That’s what I want. If it weren’t for her, I couldn’t do much at all. I’d be a sad case. Q: What’s next for you? Do you think you’ll ever really retire? A: I’m working on rewriting a Lake Wobegon movie. It’s about my fifth rewrite. I’m good at editing. I’m almost done with a book called A Luxury of Limericks, which comes out in the spring. And I’m working on a memoir called Just Passing Through. And I’m still doing solo standup and storytelling, trying to master the craft. What I really love is writing a weekly newspaper column through The Washington Post, 750 words. I love the length and the freedom of the essay. I’ll do that until they make me stop. Tickets: $31.50-$135, available by phone at 247-7657 and online at https://www.durangoconcerts.com.